About two months ago I look the plunge and cut my hair. I had been inspired by celebs such as Selena Gomez, Kendall Jenner, and many more who have pulled off the look perfectly. My hairstylist, Dennis Stokely had previously encouraged me to cut my hair, and ever since that moment the idea had been running through my mind. Eventually, one day I was scrolling through Instagram and saw a beautiful girl with short choppy wavy hair. I was immediately sold and texted my group of high school friends asking for their opinion. Yes, you guessed it they were totally for the new look, but more importantly, I was. To achieve my everyday messy waves, I use a 1inch curling wand, wrapping my hair away from my face, occasionally going towards my face for a more natural look and to break up the curls. I make sure to leave the ends straight, to avoid the look of "perfect" curls. The area where I want the most volume is in the middle of my head, not the top, so that is where I try to focus the curl. From there I take smaller pieces and curl them either away or towards my face, I try to alternate the direction but there is no perfect pattern. Lastly, I set it with a texturizing hairspray and scrunch up my hair with my fingers. Trust me, with short hair this style takes at most 8 minutes. 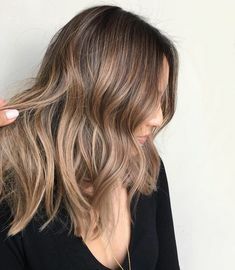 I've been sticking mostly to my natural color for the past few years, however I'm obsessed with balayage. I go about a shade or two lighter than my natural hair color. I try not to go overboard with this look as I love a natural look. 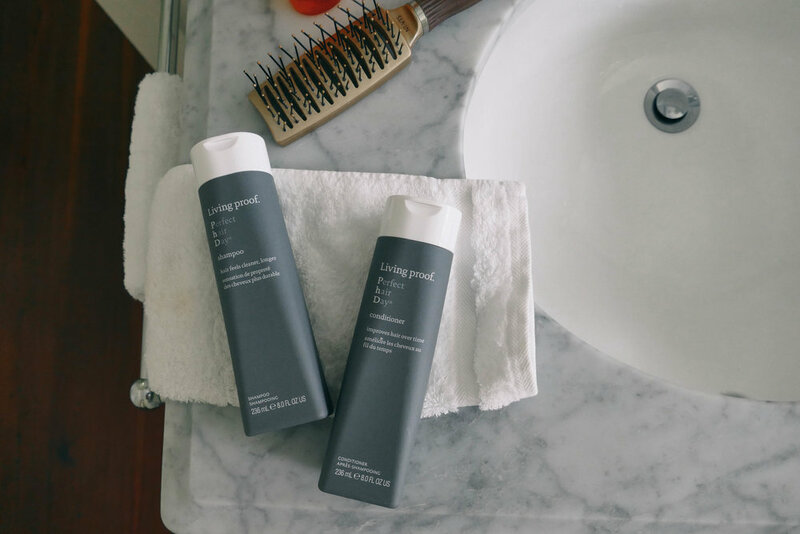 With the humidity down south, anti-frizz products are a must. I use a bunch of products from Kérastase to relax and smooth out my hair (scroll below to shop!) The Wet Brush is definitely an essential as well. I've been using them for years and they take out every tangle painlessly. This was a god send when I had long hair, I was notorious for my tangled hair during salon appointments.